Sasakawa USA was pleased to host a private dinner discussion exclusively for our alumni featuring Mr. Yasushi Kudo, President of The Genron NPO. Mr. Kudo discussed results of The Genron NPO’s bilateral (1, 2), trilateral, and quadrilateral surveys that were administered to examine the views of the Japanese, Chinese, South Korean, and U.S. public on the future of Northeast Asia and challenges facing the region. He answered questions from the group through simultaneous interpretation as the night progressed. This private event was held in combination with a public event the previous day discussing the poll results. Mr. Yasushi Kudo is Founder and President of The Genron NPO. He founded the independent not-for-profit think tank in November 2001 in order to create a stage for responsible and quality discussions, which the normal mass media didn’t provide. In March 2012, he was elected as the Japanese delegate to the Council of Councils (CoC), an international think tank network convened by the U.S.-based Council on Foreign Relations (CFR), dedicated to the debate of global issues and formed by the world’s top think tanks. He holds many dialogues on liberal democracy and global issues, disseminating their results and proposals in and outside Japan. 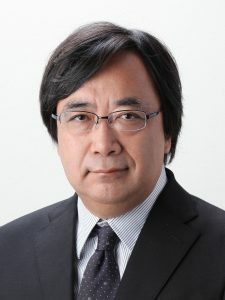 Before the foundation of The Genron NPO, he was editor-in-chief of “Financial Business,” a monthly magazine specializing in the financial sector and “Debate: Toyo Keizai,” Japan’s leading issue-oriented magazine. He received a Master of Economics from Yokohama City University.